Canopy Growth (CGC) is planning to expand its investment in American cannabis. The Canada-based cannabis company previously announced an investment of $100 million to $150 million to process and produce hemp in New York after securing a license from the state’s government officials in January. 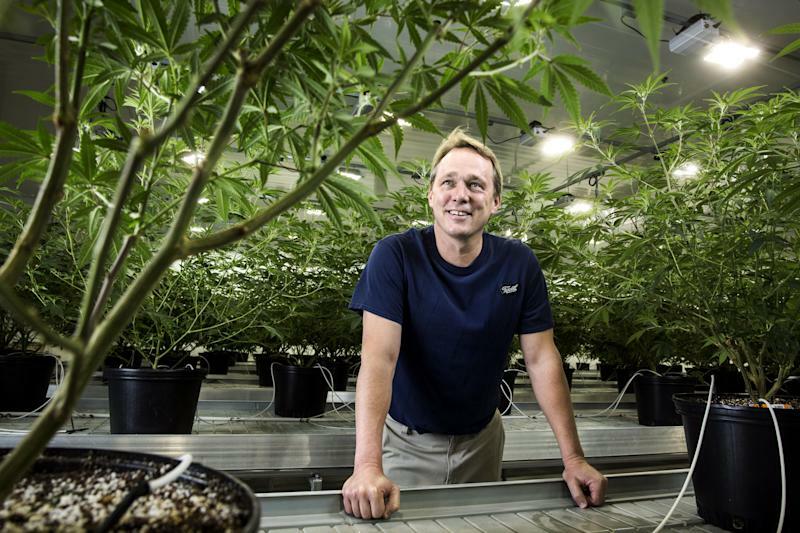 It now plans to increase the total investment in U.S. hemp to up to $500 million by adding hemp production in two to three other states in the U.S., Canopy Growth CEO Bruce Linton told Yahoo Finance. The move to invest in a hemp processing facility in New York represented the company’s first large push into cannabis extraction and processing outside of Canada. Now, the extended push into U.S. hemp production makes Canopy Growth one of the major companies focused on the space since the passage of the farm bill earlier this year made growing hemp legal at a federal level, though production oversight is still largely left to individual states to decide. Hemp, the cannabis sister species to marijuana, is coveted for its relatively higher concentration of CBD, or cannabidiol, the non-psychoactive compound that can’t get users high like THC in marijuana, but is thought to alleviate a range of issues including anxiety and insomnia. CBD sales have steadily risen as use in creams, lotion, tinctures and even beverages have gained popularity. Brightfield Group, a cannabis industry research firm, estimates the hemp-derived CBD market will grow to become a $22 billion market by 2022, but that’s not all that interests Linton. Beyond the necessary sourcing of CBD for CBD-infused beverages or other products, the reward that comes with being a major hemp processor at scale could also leave Canopy with usable byproducts. One separate hemp-focused startup is currently using hemp waste to produce plastics for cannabis companies’ packaging. It’s unclear if Canopy has similar plans, but it would seemingly be an efficiency boost for a company that operates entirely through the production chain from seed to sale. Canopy has also been bolstering its position through acquisitions. The company bought Evergreen, Colorado-based cannabis research startup ebbu in November 2018 for $330 million and gained control of more than 40 cannabis-related patent filings. 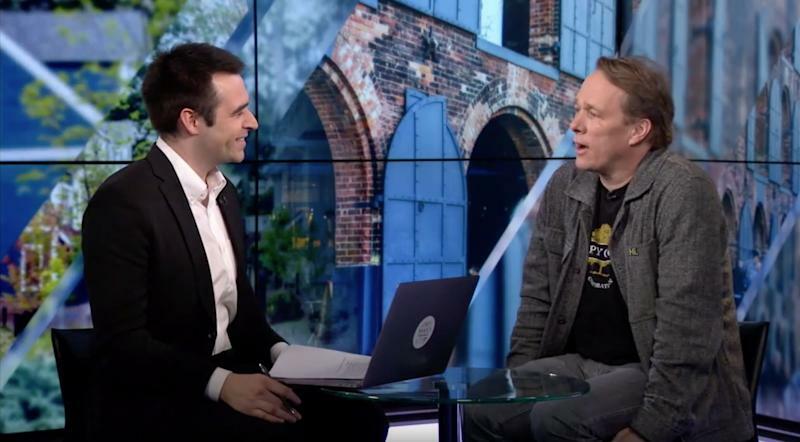 Canopy Growth CEO Bruce Linton (right) explains why hemp deserves the $500 million his company is prepared to invest in building cultivation centers in an exclusive interview with Yahoo Finance's Zack Guzman. Canopy said the intellectual property it gained from the deal gave the company the potential “to vastly reduce the cost of CBD production.” Those cost savings could prove even more important as the company’s focus on hemp production becomes a more significant part of its business moving forward. However, Linton was careful to note that while the plans to invest heavily in hemp production and CBD do mark a significant push, hemp would not likely overtake marijuana as the company’s focus. Perfecting both sides of the cannabis equation at Canopy’s scale, however, would give the company a commanding lead on the growing space as a whole, and in Linton’s eyes, potentially catapult the company to a size that’s even greater than Constellation Brands, the alcohol supplier that invested $4 billion dollars in Canopy last year. Especially if the ambitious hemp plans Linton has laid out can be completed by September as he forecasts. Editor’s note: An earlier version of this story stated Rhode Island as one of the states that Canopy Growth planned on investing in. A spokesperson for the firm said Canopy Growth CEO Bruce Linton misspoke and that the company has no plans to invest in that state.